THUNDER BAY – AVIATION – Northern communities increasingly depend on a solid supply chain to get their food, fuel and medical supplies. Climate change and increasingly extreme changes in winter weather are creating problems for the winter road networks. That means air transportation is taking on a far greater importance. North Star Air has invested in Northwestern Ontario with a fleet of four Basler BT-67 aircraft. This is an aircraft with a proven history in northern flying conditions. 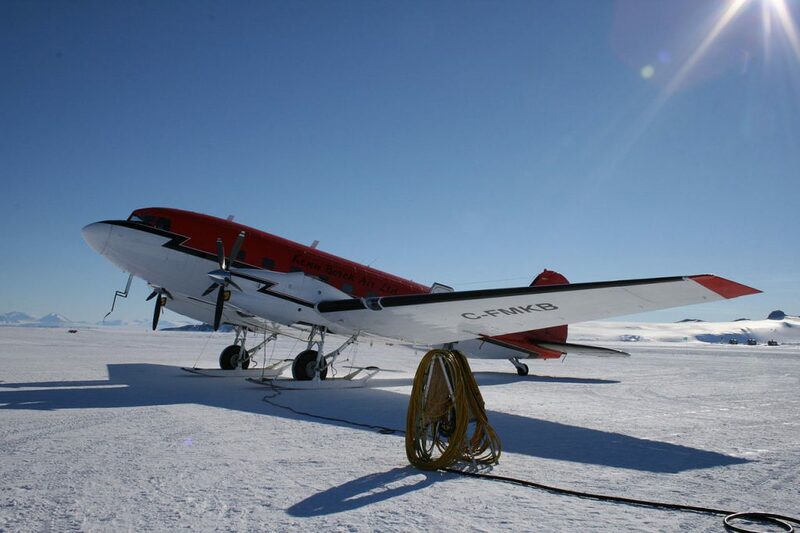 The Basler BT-67 aircraft is a game changer for servicing the northern community’s air freight needs. The aircraft has the capability of flying and landing in extreme conditions and is uniquely fitted for ice, snow and land. Another key competitive advantage is the BT-67 proven reliability, safety and operational costs efficiencies. This is a plane designed for harsh northern conditions. The BT-67 has its base in the famous DC-3 workhorse that has a long history of flying people and cargo around the world. The planes are remanufactured from the frame up to make a modern, and safe aircraft. Basler Turbo, the company that manufactures the aircraft says, “Basler Turbo Conversions takes the legendary DC-3 and puts it through the industry’s most extensive remanufacturing process. Built into each airframe is the sum of our knowledge and our proprietary processes, along with state-of-the-art components, world-class Pratt & Whitney Canada PT6A-67R engines and Hartzell propellers. It takes six months and up to 45,000 person hours of work to make each Basler BT-67. 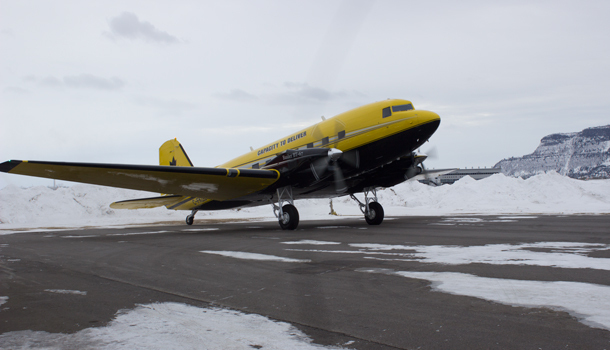 Over the past several months, North Star Air’s BT-67 fleet has been working overtime keeping critical diesel fuel supplies flowing into northern Ontario communities. Each load of fuel ensures that the diesel generators that supply electricity to the communities keep going. Over the past several months, North Star Air has delivered over one million litres of diesel fuel for one of their competitors. “North Star Air fully understands air transport requirements in northern ontario are critical and we have a track record of collaborating with individuals, communities and other carriers to ensure the timely delivery of necessary goods and services,” states Frank Kelnor the President and CEO of North Star Air. Northern Ontario is at a crossroads in terms of transportation. Increasingly variable weather is impacting the once reliable winter road network. The cost of starting, and maintaining this large network of roads is becoming far more expensive as the season and the load limits get shorter and shorter. This means it is likely time for northern Ontario First Nation communities, business and government to start planning for the future. Air transportation offers a far surer and consistent means of travel. North Star Air is one of the companies investing in the future of the north. Making the transition toward the future likely means deciding on how best to secure the needs of the north. It is a decision that likely will have to be made sooner rather than later. -Basler BT-67 is extremely versatile and durable aircraft that creates new options for air transportation from charter passenger, cargo and fuel. -One of the feature of the Balser BT-67 is its ability to transport larger cargo because of the larger size doors. the ideal loads are: bulk fuel up to 6200 lbs, drums up to 25-31 per load, ATVs, skidoos, lumber, etc. -It also presents the feature realm of bulk fuel transportation, where it has the ability make use of fuel bladders system that allows unparalleled fuel payload and customer value. -The maximum payload is 11, 000 lbs., 1225 cubic feet of volume.